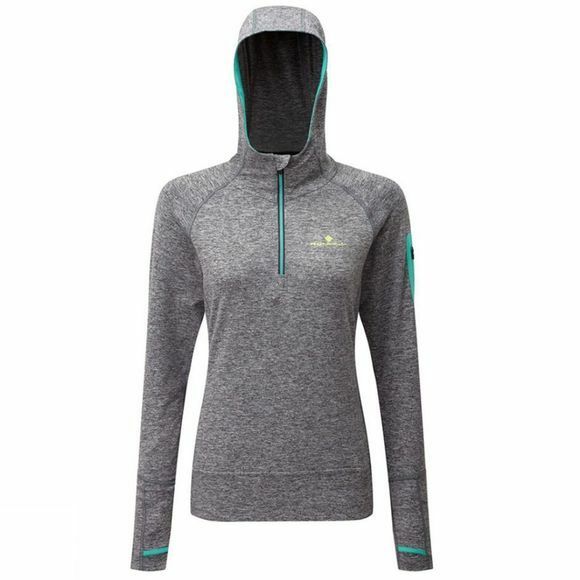 Ronhill's Women's Aspiration Victory Hoody is the perfect thermal layer for the ultimate comfort and warmth, pre, during and post activity. Providing you with a soft brushed feel that has wicking technology, to keep your skin as dry as possible. Flat lock seams with thumb loops and an ergonomic shaped hood to ensure you're in maximum comfort throughout its use.